Chilean president Sebastian Piñera, during his career as a businessman, helped bring credit cards to Chile in the 1970’s. Since that time, their use has grown extensively throughout the country. 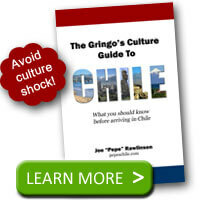 As a foreigner, there are some things you should note about using your credit card in Chile. 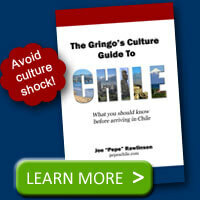 Before you leave for Chile, call your credit card company and tell them you’ll be traveling. Many credit card providers will let you put a travel notice on your account through their website or automatic phone system. Make sure you take this initial step so that when charges start appearing from Chile, the credit card company doesn’t think they are fraudulent. “Red Compra” loosely translates to “Buyer’s Network.” Even though the sign does use the color red, that isn’t what it is referring to. Don’t assume that you’ll be able to use your credit card everywhere. Many places, particularly smaller stores and vendors, only take cash. Carry credit card alternatives, principally Chilean pesos or your ATM card to access pesos. When paying for a purchase, the cashier may ask you “¿cuántas cuotas?” They want to know how many payments/installments you want your charge split into. You should say “una sola” (just one) or “sin cuotas” (no installments). Many Chileans use their debit cards for purchases. This means they swipe their card and then enter their PIN number. Since you’ll be using a credit card, this may confuse the cashier who is used to debit cards. So be patient if they have to swipe your card a few times. They may have to enter the last several numbers printed on the card or it will be denied by the bank. Stores and gas stations accustomed to credit cards won’t have any trouble. When the cashier hands you the receipt to sign, you’ll see a line for firma (your signature) and C.I. which is short for cedula de identidad or identity card. Chileans have their ID number memorized and would be able to write it here without trouble. You’ll need to enter your passport number if asked or can probably just sign the paper and hand it back. You’re more likely to get asked for the ID number if you have a higher purchase price. Oddly enough, when you use your credit card and the cashier asks for ID, they don’t necessarily want to see the ID, they just want the number. Remember that you can use your foreign credit card to pay your hotel bill in foreign currency and avoid the IVA tax. I don’t know if they’ve caught up yet – this was 3 years ago – but we found different banks and machines accepted different cards. The chip in our chip and pin cards confused some machines but not the Santander ones. We found a confused ATM would accept our debit cards (mine was still chipless at the time) and they were all happy with a preloaded card we’d got from the Post Office – until we used it twice in three days (we’d missed a bit of small print) and we got locked out of the card completely….until we returned to England. So there was a day in Pucon where I had emptied my debit account (not thinking I was going to have to use it), the chip and pin was blocked because although we had warned our bank we’d be in Chile they’d forgotten, we were locked out of the Post Office card, my son who had a card he was happily using in Chile had reached the max he could draw out each day because he’d been bailing us out…..and we were reduced to desperately emptying our pockets to pay the hotel bill. It was a nightmare! So the following year I Moneygrammed myself a pile of cash which I picked up at Santiago airport when I landed. This would have been a brilliant plan if we hadn’t had the lack of an identity number problem mixed with my son having just moved house. I seem to spread chaos wherever I go but as I am a white haired old lady they capitulated and gave me my money so I could shop ’til I dropped. @Anne – Wow! That is quite the adventure. I haven’t had trouble with my credit card but as your story shows, there are lots of variables that could impact any given card being used in a transaction. I always recommend taking multiple forms of payment just in case: credit card, debit card, some Chilean pesos, and dollars/euros. This is very good information. We have been in Calama for about 3 weeks now because of my husband’s work, and everytime I use my credit card, I was asked different payment options and I have no idea what to answer. Now I know! Anyway, have you heard of an experience on non-dispensed of cash withdrawal from ATM’s in Chile? It happened to me 2 weeks ago, and from previous experience in other international destinations, the funds get reversed back into my account after 3 days. This time, it’s been 2 weeks and still nothing. I already informed my bank in Singapore, and they said they are investigating. Does it normally take this long for Chilean banks to determine that the ATM’s didn’t dispense cash? BTW, the ATM I used was in Banco Ripley which is located in the Calama Mall. Any feedback will be appreciated just so I know that even if it takes a few more days, that I will definitely get the funds back into my account. Thank you so much again for the info above. @Rowena – I’m sorry but I haven’t heard anything about non-dispensed cash from Chilean ATMs and how that is handled. I wish you the best in getting that resolved. Hi, thanks for a very informative website. A question: which denominations of banknotes are dispensed by chilean ATMs? What is the largest amount you can withdraw? I ask because I don’t want to be stuck with only large notes when I arrive in Santiago. [For example, if $5000 is the smallest note you can get from an ATM, and the maximum is $500000, then I would ask for 495000 so as to get some $5000 and $10000 notes, and not just $20000 ones. Thanks! @Brett – $200K Chilean pesos is the limit. $20K is the biggest banknote I’d expect to see from the ATM. Hi I have a doubt, my debit card is american but i am Chilean, I have never used my card here, I just got the money from ATM until I forgot my pin and I blocked all, it is a long story but the problem now is I asked for a new card and the sent it with the wrong last name, Chilean use both last names, father´s and mother´s and and they wrote my mother´s on it so I dont know If I can use it now to buy because I dont have pin for ATM. I am interested to buy online, now if I go to a store how should I pay?…thanks ….PD: they told me I have to go to the bank to change that mistake but I cant so that is why I need to know if I can use it.